Cielo de la Paz shares her first look at a book produced by Apple that features the photographers from the "Shot on iPhone 6s" campaign. 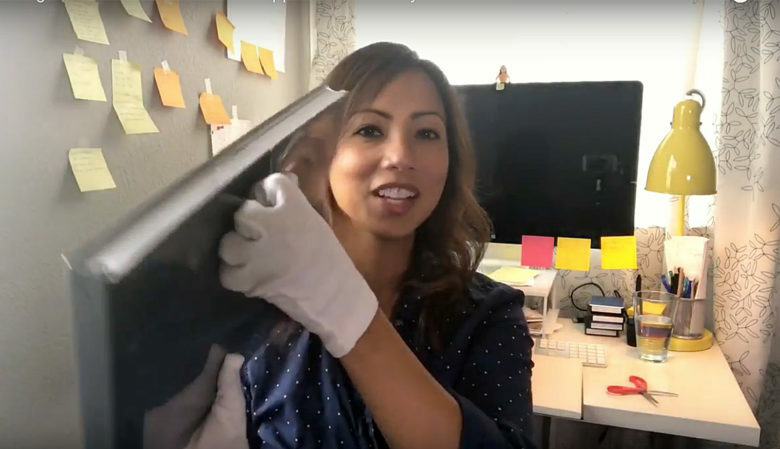 If you like watching a kid opening a gift at Christmastime, you might delight in watching a video posted by iPhone photographer Cielo de la Paz that shows her opening an unexpected gift from Apple. For the second straight year, the self-taught photographer had one of her pictures selected for Apple’s “Shot on iPhone” marketing campaign. In addition to compensation for use of the photos for the campaign, Apple surprises the photographers with a coffee table book displaying photos selected for the Apple World Gallery. The company first did it last year after the highly successful “Shot on iPhone 6” campaign. Apple repeated the gesture this month for photographers who had pictures featured in “Shot on iPhone 6s” ads. The recognition de la Paz received from the first campaign led to freelance photo opportunities, requests to teach iPhone photography in an online video series for Skillshare and increased her followers on Instagram. De la Paz, profiled by Cult of Mac after the first campaign, shoots with the wonderment of a child. Her photo of her reflection in a rain puddle was one of the more iconic photos from the 2015 campaign (she also had a video used in a commercial). In 2016, a photo she made of her son in a cornfield got selected by Apple’s judges. The joy she sees in the world is evident in her photographs, and she is known to be very generous in sharing her skills and experience. She definitely shared her excitement for the Apple photo book in her “unboxing” video posted to YouTube.